Tommy Tam (Ti Lung) in the Johnson Lee directed and starred film STAYCATION (YUT GA DAI SAI) challenged the comedy limits. 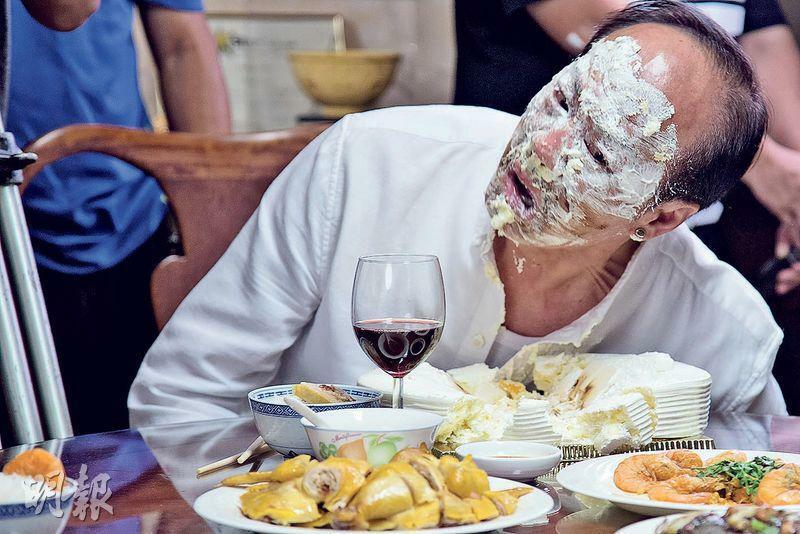 In one scene his sons Johnson Lee and Andrew Lam Man Chung celebrates his birthday; Johnson Lee designed one scene in which he accidentally put Ti Lung's face into a cake and the birthday boy got cake all over his face. Johnson Lee said that before the shoot he was shaking with fear, luckily Ti Lung agreed and the result was naturally and funny with only just one take.